Shape your students' future through the ultimate experience at SLU 101! Your students will begin their leadership journey by understanding that Leadership Begins at the Feet of Jesus. From behind the scenes at SeaWorld to world-class speakers in exclusive learning environments, SLU 101 teaches your students the practical, relational, and life skills to change the way they think, dream, and lead! Building on the foundation of personal leadership learned at SLU 101, SLU 201 will put you in the heart of our Washington, D.C. and equip you to lead as a citizen and catalyst for change. Experience the Nation's Capital in a way most never will. Tour the monuments by twilight, walk the hall of Congress, learn from national leaders and witness the legacy of the Founding Fathers as you discover your own role in society's future. Inherit the Past. Shape the Future. At SLU 301, the leadership journey continues deeper into history as students traverse Europe, learning to think bigger about the world. As students experience the sacrifices made in the past and consider the worldviews of great philosophers who have paved the way, they learn that leaders are called to shape history and leave a legacy for Jesus that is larger than themselves. In the final step of the journey, students travel to Israel and Jordan where it all began, connecting with the life of Christ and understanding their role in God’s redemptive story of the world. Not only is faith brought to life as students walk in the steps of Jesus, but students learn that true leadership begins at the feet of Jesus, living in strength, humility, wisdom and with the selfless heart of a servant while seeking to have an eternal impact on earth. The Mission trip to Cleveland OH is to partner with City Church and Zach Wiehrauch to help further his heart in church planting. Students will meet with several church planters and work closely as they minister to the neighborhoods where God has called them. Students can expect to be immersed into the Cleveland culture and understand what it means to live a life on mission with Jesus and church planting in an urban setting. In late September 2017, Hurricane Maria whipped through the U.S. island territory of Puerto Rico with tornado-level winds, drenching the island with intense flooding, crippling communications, and decimating countless homes. With the whole island affected, the relief and recovery efforts have been slow to start and will be needed on a massive scale. If you are looking for an opportunity to have a tangible impact on the lives of real people in need, then this is a great trip for you! 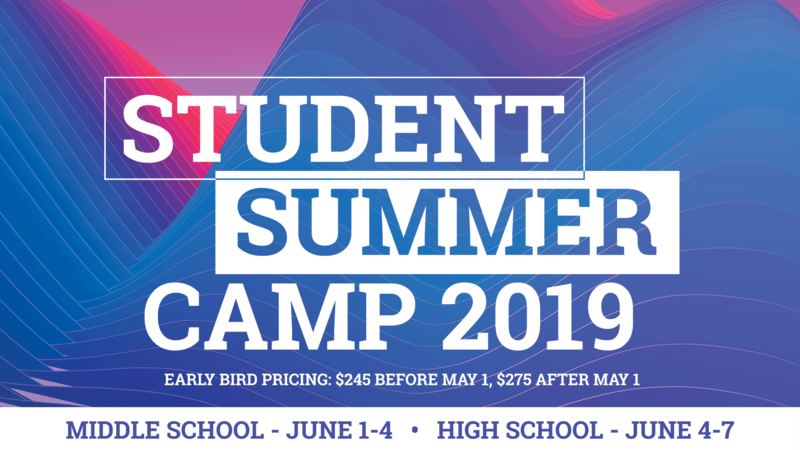 Student Summer Camp is our most anticipated event of the year. And for good reason! It is designed to help students take their next step in owning their own faith. Whatever that may be! We love packing up and spending isolated with our students away from the craziness of the world and having some intentional time in God's Word, in gospel-centered community and life-transforming worship. We are expectant that He is going to do big things this year!